There's a lot at this forum about Elie Wiesel, but this article by David O'Connell hits the nail on the head by shedding more light on charlatan Wiesel. This article was published in the November, 2004 issue of Culture Wars magazine. Elie Wiesel is widely admired by many of the Catholics who wield power in the diocesan chanceries and the administrations of the nation’s Catholic schools and universities. He has received honorary degrees from a number of Catholic institutions, including Georgetown, Notre Dame, Fordham and Marquette. He is also fawned over by assorted Catholic intellectuals. He is accorded this treatment despite the fact that he plays a prominent role in exploiting the abusive relationship that exists between the representatives of the major Jewish Organizations and those Catholics who “dialogue” with them. In the 40 years since Vatican II, this alleged “dialogue,” well intentioned at the beginning, has actually turned out to be a monologue in which the Jewish side ritually denounces Catholics and Catholicism while the Catholic representatives nod in approval. No serious criticism is ever made of Jews or Zionism. The dialogue, for instance, is strangely “silent” about the unrelenting Israeli war against the Christians of Palestine. In 1948, 18-20 percent of Palestinians were Christian. That figure is down to about 2 percent today. The Christian population of Bethlehem, once 95 percent, has dwindled to about 15 percent. Even worse, the “separation fence” now under construction cuts through many places that are holy to all Christians. The role that Wiesel has assumed in the abusive relationship is to exploit his privileged access to the media to attack high value Catholic targets. In 1979, he attacked the Pope for not mentioning the word “Jew” while visiting the Auschwitz victims’ monument, which also omitted the word. He also attacked the Pontiff for not mentioning the word “Israel” on his visit to the U. N. When the Pope invited him to come to Rome for a personal visit, Wiesel turned him down. Then, in 2000, he rebuked the Pontiff because his apology to Jews for past persecutions was not good enough. Wiesel’s relationship with Cardinal Jean-Marie Lustiger of Paris followed the same pattern in the 1990s. First he attacked Lustiger because he had converted to Catholicism as a boy, then he achieved reconciliation and finally “friendship” with him. Wiesel also delights in desecrating what is for many Catholics the beloved memory of Pope Pius XII, routinely trashing him for his supposed “silence” during World War II. No other Jewish media voice even comes close to Wiesel in terms of the frequency and the vitriol of his insults to the Catholic memory of that Pope. Wiesel has been claiming for the past 35 years that Christianity died at Auschwitz. As early as 1971, he stated: “The sincere Christian knows that what died in Auschwitz was not the Jewish people but Christianity.”4 Yet, the Catholic press, intellectuals and hierarchy treat Wiesel with reverence! To Wiesel (as well as to our disproportionately Jewish mediarchy), Jewish suffering during World War II has replaced the sufferings of Christ as the functioning paradigm of the post-Christian era. It is the media’s benchmark, the sacred “burnt offering” of the secularists. As Rabbi Jacob Neusner has pointed out, “the Judaism of Holocaust and Redemption” has become the civil religion of America.5 Hardly a day goes by without the Judeo-corporate media producing an article, report, TV show or movie of some kind on the subject of the Holocaust and the dubious “lessons” we are supposed to draw from it. Media propaganda, both against Catholicism and in favor of the “specificity,” or superiority of Jewish suffering, never stops. Over the course of his career, Wiesel has told many tall tales about his alleged experiences during World War II. They can be called “true lies,” since they are meant to edify and are told with supposedly good intentions, even though they are not true. In the following pages, I shall examine closely one of these “true lies.” It has to do with his internment at Buchenwald. As I tell the story, it will become apparent to readers that I avoid using the word “Holocaust.”6 Since that term is has become a media code word that is all too often used as a justification for the Jewish war crimes and crimes against humanity that are routinely committed in occupied Palestine, it is tainted. It is also associated with the scams and manipulations of various Jewish holocaust profiteers, of whom Wiesel himself is probably the most flagrant example. It also serves the purposes of the pro-Israel Judeo-corporate power structure, since it justifies foreign adventures to “prevent another Holocaust.”7 I refer instead to the Jewish Ordeal of World War II (JOW) to describe the Nazi persecution of innocent Jews. From November 1947 to January 1949, Wiesel worked for Zion in Kampf, the newspaper of the terrorist gangsters of the Irgun. The Irgun extermination of innocent Arabs at the village of Deir Yassin took place on April 8, 1948, while Wiesel was on the payroll, yet he is always appalled by Palestinian “terrorism.” Likewise, while he was actively campaigning for a Nobel Prize in the 1980’s, he made a trip to South Africa. Of course, the New York Times was there with him and recorded his ritual denunciation of apartheid. Yet Wiesel now strongly favors the apartheid wall being built in occupied Palestine even though it will impose additional inhuman hardships on the Palestinians. Even worse, he has attacked Pope John Paul II for proposing that what the Middle East needs is bridges, not walls, writing: “From the leader of one of the largest and most important religions in the world, I expected something very different, namely a statement condemning terror and the killing of innocents, without mixing in political considerations and above all comparing these things to a work of pure self-defense. To politicize terrorism like that is wrong.”11 Ironically, the same Wiesel who accuses Pius XII of “silence” now wants Jean Paul II to be “silent” about Jewish war crimes in Palestine. Wiesel’s claim to fame is his problematic “autobiography,” Night, which is actually a novel, since it contains a good deal of invented material. It was first published in French in 1958, and was based on a much longer Yiddish version, which he had published under the title And the World Forgot (Und Di Velt hat Geshveyn) in Buenos Aires in December 1955. At a reception held at the Israeli embassy in May 1955, which Wiesel attended as a reporter for an Israeli newspaper, he approached the well-known Catholic novelist, newspaper chronicler, man of letters, and 1952 Nobel Prize winner, François Mauriac (1885-1970), and asked if he would consent to be interviewed. Mauriac was a French right-wing nationalist by birth and upbringing. In his family in the early days of the 20th century, they referred to the bedroom’s chamber pot as “le zola,” since the Mauriacs were convinced, like many French people, that Dreyfus had been guilty despite the media campaign in is favor. But he changed political stripes in the mid-1930s, becoming a strong supporter of world Jewry. He continued this support through the war years and after, when he favored the creation of Israel. Then, in 1951, he was the first Catholic to accuse Pope Pius XII of “silence” during the war years. Amazingly, just two years later, when his career seemed dead, for he had not published a major piece if fiction since 1940, he was awarded the Nobel Prize for Literature—for his novels! The Parisian literati were stunned! How could this be, they wondered, especially at the height of the “existentialist” craze? One question they did not dare ask was the possible role of the Jewish lobby, so powerful with the Nobel Committee, in this decision. Was the Nobel Prize a payback for his support of Jewry through the years of World War II, as well as for waving an accusatory finger at Pius XII, who was still very much alive? I have not yet been unable to resolve this question. La Nuit became Night when it appeared in New York in 1960. With the backing of the ADL, it became mandatory reading in high schools shortly thereafter and has sold millions of copies since then. It contradicts Jewish holocaust dogma on many key points, and in fact is guilty of “holocaust denial” in this respect. Nevertheless, it remains the only “holocaust memoir” with any redeeming literary qualities (which brings us back once again to the question of who actually wrote the final draft of the book). In the meantime, Wiesel moved to New York, where he continued to work as a correspondent for an Israeli newspaper. Shortly after his arrival, he was struck by a car near Times Square. Given to exaggeration by nature, he later claimed: “I flew an entire block. I was hit at 45th Street and the ambulance picked me up at 44th. It sounds crazy. But I was totally messed up.”13 Then, after the success of Night, he was awarded a tenured teaching position at a public institution, Hunter College. Despite his claims over the years about having studied philosophy and psychology at the Sorbonne and doing a two year internship at the Hôpital Sainte-Anne in clinical psychology, he actually never enrolled for any credit-bearing course at the Sorbonne, or any other branch of the University of Paris. Even worse, there is no evidence that he ever earned a French secondary school diploma. Yet, he now earns a huge six-figure salary as a year as a Mellon Professor of Literature at Boston University, a position that theoretically requires a Ph.D.
During the years from 1960 to 1967 the two men kept up a regular correspondence. After the conquest of Palestine in 1967, Mauriac voiced concern in his Bloc-Notes column in Le Figaro that the Israelis were now behaving more and more like Nazis. During the war, Mauriac had been obliged to give shelter to several German soldiers in his home for over four years, and he knew what occupation did to both occupier and occupied. The two men quarreled, and there were harsh words committed to paper. Wiesel would prefer nowadays not to revive this issue, for he probably wrote some things he is now ashamed of. Yet, for years he proclaimed he was going to some day publish the letters.14 But I believe there might be a much more important reason for the suppression of the correspondence, for it could possibly reveal Mauriac’s active role in the redaction of La Nuit. After all, as Naomi Seidman has pointed out, La Nuit differs dramatically from the Yiddish original in length, tone, basic themes and meaning. She rightfully attributes this difference to Mauriac’s “influence.”15 But how do we define “influence?” While the Yiddish original appears to be hated-filled, dripping with a Jewish desire for vengeance against goyim, the latter is more oblique and restrained. In a word, it is a work of literature and, as such, implies the presence of a mature literary hand, like Mauriac’s. Conversely, when one compares La Nuit to the many novels that Wiesel has written since then, the absence of a mature literary hand, like Mauriac’s, is obvious. In France, La Nuit is mandatory reading in state-sponsored indoctrination classes, but none of his other novels are read in schools or taken seriously by critics. The same situation prevails in this country. In a word, La Nuit is totally different from anything else that Wiesel has written, and it is fair to ask if in fact Mauriac’s influence went beyond the level of mere suggestion and advice. 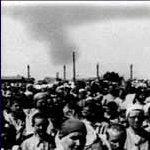 Wiesel, along with his parents and three sisters was deported from Sighet, Hungary, to Auschwitz in May 1944. Born in September 1928, he was fifteen and a half years old. The Germans needed labor for their factories, since Nazi ideology forbade German women from engaging in such work. Women stayed home in Nazi Germany, a policy that made sense to the Nazi racists who ruled the country but left the Germans short of blue-collar labor. Wiesel’s mother and a sister died at Auschwitz in the summer of 1944, probably in the horrible typhus epidemic that raged in the women’s camp. Their death certificates are in the files at Auschwitz, but on a research trip there I was not allowed to see them. The two other sisters survived the epidemic, and lived to advanced age. Wiesel was sent to the men’s camp with his father. In late 1944, when Wiesel injured his foot in an industrial accident, he was operated on at the camp hospital. According to the vulgate version of the Jewish holocaust story, he should have been disposed of in a gas chamber since he was not only a child but was also disabled. Yet nothing of the sort happened. While in the hospital, he befriended the hospital personnel and, as the Russians approached in January 1945, was offered the opportunity by the Jewish staff physicians to stay on and not be evacuated with the retreating Germans. Yet, Wiesel preferred to go off with the Germans who, according to the Jewish holocaust story, were allegedly sending 20,000 people a day to the gas chambers. This decision raises a number of very serious questions. Not only that, he also insisted on dragging his sickly father along with him, which was the equivalent of writing the man’s death certificate. The latter, physically weak even before the horrible trauma of the camps, died of dysentery shortly after arriving in Buchenwald in the dead of winter. Repatriated to France in late April at the age of sixteen and a half, Wiesel was reunited there with the two sisters who had survived the typhus epidemic. On July 4, 2004, Parade magazine featured an article by Wiesel. It included what is probably the most famous propaganda picture from World War II. In it, a circle is drawn around the face of a man who is supposedly Wiesel. The picture was taken by Private H. Miller of the Civil Affairs Branch of the U. S. Army Signal Corps at Buchenwald concentration camp on April 16, 1945, five days after the American arrival there on April 11. It was not taken on the spur of the moment on April 11, but was one of a larger group of about a dozen photos in which professional montage and mise en scène techniques were used.16 The shot was then released to the media to be used for the usual propaganda purposes: project an image of the Germans as war criminals while distracting the American public from the horrible war crimes then being committed by Allied forces. The fact that the picture is still being exploited almost 60 years after it was taken shows how successful and adaptable it has proved to be. The last two pages of Night recount the events associated with the flight of the Germans and the arrival of the Americans at Buchenwald. Wiesel writes in Night that “three days after the liberation of Buchenwald, I became very ill with food poisoning. I was transferred to the hospital and spent two weeks between life and death.” Thus, Wiesel’s first claim about his mysterious illness is that it occurred “three days after the liberation of Buchenwald,” that is, on April 14. He was immediately hospitalized, and “spent two weeks between life and death.” According to this scenario, he would have been in the hospital from April 14 to April 28. Since the picture was taken on April 16, he could not have been in it. Wiesel later changed this basic story a number of times. Here is the second version of events, which he invented many years later. “After the liberation I became sick and it’s strange how it happened. I hinted at it in Night but it’s not the full story. April 11, 1945, when the Americans came, we were some 20,000 left in Buchenwald out of some 60,000 or 80,000, and we hadn’t had food for a week or so. Suddenly the Americans came and brought their food but they really didn’t know what they were doing; they gave fats. 5,000 people died immediately from food poisoning. . . and my body rebelled; I lost consciousness immediately and was sick for ten days or so—unconscious, in a coma—blood poisoning or something.” In this second version, Wiesel says that he ate the food “an hour or two after the liberation,”17 which contradicts his original claim in Night that he only got sick three days after liberation. Also, in this new version he is sick, unconscious and in a coma for ten days, or from April 11 until about April 21. Here, once again, he could not have been in a picture that was taken on April 16. As for Wiesel’s claim of 5,000 deaths from food poisoning, it is pure hysteria, and is not supported by the historical record. The third version of Wiesel’s liberation from Buchenwald is linked to this photo. In 1983, almost 40 years after the picture was taken, the NYT published it with the caption: “On April 11, 1945, American troops liberated the concentration camp’s survivors, including Elie, who later identified himself as the man circled in the photo.” It is important to note here that Wiesel had never claimed to be in this famous picture before 1983. Why had he never told anyone about this before 1983? And why did the NYT suddenly want to associate Wiesel with this picture, especially since the individual circled in it was a young man, and clearly not a boy of 16? Furthermore this man does not resemble in any way what Wiesel actually looked like at this age! Obviously, no checking was done by the paper to see if Wiesel’s claim was true, but the NYT knows that in the matter of the Jewish holocaust story, no one would dare to challenge them. In retrospect, however, it is clear that this bogus claim was a first step in the NYT campaign to secure a Nobel Prize for Wiesel, either for literature or peace.19 The picture was published in the high circulation Sunday NYT Magazine, and included the statement, “His name has been frequently mentioned as a possible recipient of a Nobel Prize, for either peace or literature.”20 Incredibly, after the NYT had manufactured history by declaring erroneously that Wiesel is seen in the picture, they had the nerve a few years later to castigate Buchenwald Museum authorities for not repeating their lie as fact! In 1989, a NYT reporter visiting Buchenwald wrote: “A large photograph in the [Buchenwald] museum shows Mr. Wiesel, among others, on the day of liberation. He is not identified in a caption. And the guide who has shown visitors around Buchenwald for 14 years had never heard of the author, who has written eloquently about that camp.”21 In addition to Wiesel’s earlier claims that he was sick when the picture was taken, another major problem with Wiesel’s alleged image in this picture is that it is quite unlike his appearance in a photo taken shortly before his deportation eleven months earlier. Clearly, he was merely a boy at the time, and his image bears no relationship to that of the man shown in the bunk at Buchenwald.22 This picture, coupled with the fact that he has stated repeatedly over the years that he was sick on April 16, offers double proof that his claim be to shown in the Buchenwald shot is nothing but a Jewish holocaust scam. Tragically, this true lie exploits the tragic sufferings of Wiesel’s relatives and all the other innocent Jews. As the Nobel campaign went forward, the NYT usually tried to present Wiesel in dramatic terms, even if it meant telling more “true lies.” His image as a JOW survivor needed to be enhanced. Thus, for example, when he made a trip to Berlin in January 1986 to attend a JOW conference, the NYT reporter declared solemnly: “Elie Wiesel returned to Germany this week for the first time since he was released from the Buchenwald concentration camp almost 41 years ago.”23 Unfortunately, this dramatic statement was nonsense, as the NYT should have known, since Wiesel had begun his career as a New York journalist in December 1962 when he published a hate-filled article appropriately entitled “An Appointment with Hate” in Commentary, the organ of the American Jewish Committee. Its subject was a recent trip he had made to Germany. In it, he wrote: “Every Jew, somewhere in his being, should set apart a zone of hate—healthy, virile hate—for what the German personifies and for what persists in the Germans. To do otherwise would be a betrayal of the dead.” The word “Catholic” can easily be substituted for “German” here. Likewise, even after the Nobel award was announced on October 14, 1986, the NYT would continue to embroider the facts, always trying to dramatize Wiesel’s life experience. For instance, on November 2, they triumphantly republished a severely cropped version of the Buchenwald photo with the caption: “Elie Wiesel, the winner of the Nobel Peace Prize (at far right in the top bunk) in the Buchenwald concentration camp in April 1945, when the camp was liberated by American troops.”24 The picture was cropped in such a way that the man who is supposed to be Wiesel remains barely visible. The NYT also suggests the picture was taken on April 11, 1945 without, of course, actually saying so. Then, in January 1987, they erroneously claimed that Wiesel had been “freed from Auschwitz” during the war.25 A year later, when he made a trip to Auschwitz, the NYT wrote: “Mr. Wiesel was a prisoner at Auschwitz and witnessed the killing there of his father and one of his sisters.”26 Of course, Wiesel’s father died in Buchenwald, and the tragic details of his sister’s death are contained in the unavailable (to me at least) Auschwitz camp records. But the word “Auschwitz” is one of the three Jewish holocaust terms that have been sloganized in the pages of the NYT, along with “six million” and “gas chambers,” while “Buchenwald” is not. This caption is totally mendacious, and the only problem with this particular scam is determining Wiesel’s role in it. However, when we recall words he wrote early in his career and has repeated many time since then, we have a possible key. “Some events do take place but are not true; others are true although they never occurred.”27 Telling a “true lie” with good intentions is simply not a problem for Wiesel. Also, since the Barbie trial focused on deportations to Auschwitz, not Buchenwald, the former was in the news every day during the summer of 1987, while hardly a word was being said about the latter. Thus, Wiesel, never shy about generating publicity for himself, might well have felt that a “true lie” was called for here. In 1995, Wiesel offered a fifth version of his liberation experience in an interview published in the German weekly Die Zeit. It contained two new pieces of information. The first was the claim that the picture had actually been taken the day after the liberation, that is, on April 12, 1945, not on April 11th, as the media had always implied. This new date not only contradicts the date of April 16 given by the U.S. Army, but it also made it impossible for him to be in it if we believed his second claim that he had been put in the hospital for ten days immediately upon eating American food on April 11th. The second new assertion to emerge from this interview was that the picture was taken in the children’s barracks, or Kinderblock at Buchenwald, where Wiesel was lodged. The following statement to this effect appears twice in the article, once in the text and once again as the caption to the picture (in which the person alleged to be Wiesel is circled as it had been in the NYT in 1983): “On the day after the liberation the picture was taken in the Children’s Block at Buchenwald by an American soldier. It shows old men. But these old faces are the faces of men who, in truth, were 15 or 16 years of age like I was.”28 Since 1945, when the NYT first made propaganda use of this picture, no one has ever claimed that it depicts children. Yet, Wiesel actually expects us to believe that these men, some of whom are heavily bearded or partially bald, were mere boys. Finally, when Wiesel states that the picture was taken “by an American soldier,” he gives the impression that it was a spur-of-the-moment event and not one that was carefully orchestrated for propaganda purposes. Elie Wiesel, so admired by many U. S. Catholic leaders, is in fact a con man who has enriched himself with his tall tales. Although courted by various misguided Church representatives, he is actually an outspoken enemy of traditional Catholicism, and should play no role whatsoever in Catholic life in this country. It is also evident that both Wiesel and the NYT are comfortable using true lies to promote the Jewish holocaust story and, in turn, Israel. Even worse, it is appalling that Wiesel, in his drive to become a multi-millionaire (he charges a standard fee of $25,000 per appearance and demands a chauffeur-driven car to go with it), and media personality, has so heartlessly exploited the suffering and death of his parents and sister at the hands of the Nazis. In falsifying his “memories” for personal gain, Wiesel has trivialized the personal tragedies of not only his closest family members, but also of all those, Jews and Gentiles, who died in the camps. The old shame of the JOW was, and is, the documented deaths of all too many innocent Jews during the war. The new shame of the JOW is the ongoing media exploitation of those deaths by people like Wiesel and the editors of the New York Times. David O'Connell is a professor of French at Georgia State University in Atlanta. 1. Ari L. Goldman, “For Cardinal, Wiesel Visit Proved a Calm in Storm Over Trip,” NYT, February 15, 1987, I, 67. 2. Brian Caulfield, “Holocaust Memorial: Cardinal Asks Forgiveness for Christians Who Turned Their Backs on Jews,” Catholic New York, September 18, 1997, 14-15. 3. Brian Caulfield, “University Award: Cardinal Honored for Promoting Catholic Jewish Relations,” Catholic New York, November 13, 1997, 12. “Although many Christians were persecuted by the Nazis, the cardinal said, only Jews were killed mainly because of their ethnic background. He stressed that he is ‘passionately committed’ to making the truth about the Holocaust known.’” Of course, this statement is absurd, for Nazi ideology was equally scornful of the Catholic Poles, whose country was supposed to provide living space for the Germans. Furthermore, an archbishop’s primary responsibility is to proclaim Christ, not to tell the Jewish holocaust story. 4. “What is a Jew? Harry Cargas Interviews Elie Wiesel,” U.S Catholic/Jubilee, September 1971, 28. 5. Jacob Neusner, “American Jews Embrace a Religion of Memory,” St. Petersburg Times, April 12, 1999. This is why the Anti-Defamation League, the American Jewish Committee, the New York Times and other media outlets were so one-sided and hateful in their attacks on Mel Gibson’s Passion. He was not only reiterating the centrality of Christ’s suffering for the redemption of all mankind, but in doing so he was also undermining our country’s civil religion. It was no accident that various mediarchs repeatedly accused him of “Holocaust denial” for reasserting Christ over “Holocaust.” It should be noted that the capital H in Holocaust underlines the racist assumption that other holocausts, whether they refer to the millions of victims in Ruanda, Armenia, Cambodia, the Stalinist Ukraine (in which Jewish commissars played a major role) or Palestine, are not important. 7. Bob Woodard, Plan of Attack, (New York, Simon & Schuster, 2004), 320-1. Woodward recounts Wiesel’s visit to the White House in late February 2003, when Bush was still allegedly wavering in his decision to attack Iraq. After hearing Wiesel tell him that Israel’s security was at stake, Bush made the decision easily. Americans must fight to protect Israel. Did Bush know at the time that Wiesel is on the CIA payroll, as he boasts in his autobiography? Wiesel, of course, had previously been a leading supporter of Clinton’s bombing of Yugoslavia in 1998. 9. Vivian Gornick, “The Rhetoric of Witness: All Rivers Run To the Sea: Memoirs by Elie Wiesel,” The Nation, December 25, 1995. 10. Christopher Hitchens, “Wiesel Words,” The Nation, February 19, 2001. 11. Anon. “Wiesel Slams Pope’s Comments,” News24.com, November 17, 2003. 12. Eva Fleischner, “Mauriac’s Preface to Night: Thirty Years Later,’ America, November 19, 1988, 411, 419. 13. Clyda Haberman, “An Unoffical but Very Public Bearer of Pain, Peace and Human Dignity,” NYT, March 5, 1997, C1. 15. Naomi Seidman, “The Rage That Elie Wiesel Edited Out of Night,” Jewish Social Studies, December, 1996. 16. Jonathan Heller, War and Conflict: Selected Images from the National Archives, (Washington, D.C., National Archives and Records Administration, 1990), 253. 17. Cargas, Conversations with Elie Wiesel, 88. 18. Harold Denny, “The World Must Not Forget,” NYT, May 6, 1945, 42. 19. After Wiesel received the prize, several Jewish writers denounced him for shamelessly lobbying for it. See, for example: Jacob Weisberg, “Pop Goes Elie Wiesel,” New Republic, November 10, 1986, pp.12-3. 20. See: Samuel G. Freedman, “Bearing Witness: The Life and Work of Elie Wiesel,” NYT, October 23, 1983. The picture appeared on p. 34. 21. Henry Kamm, “No Mention of Jews at Buchenwald,” NYT, March 25, 1989, 8. 22. Elie Wiesel, “Le Jour où Buchenwald a été libéré,” Paris-Match, #28126, du 10 au 16 avril 2003, 116. 23. John Tagliabue, “Elie Wiesel Back in Germany After 41 Years,” NYT, January 23, 1986, A4. 24. Martin Suskind, “A Voice from Bonn: History Cannot be Shrugged Off,” NYT, November 2, 1986, IV, 2. The article points out that the Nobel Committee “chose precisely Elie Wiesel for the award” because they wanted to send a message to the Kohl government in Germany, which had not demonstrated sufficient guilt in 1985 in commemorating the fortieth anniversary of the end of World War II. 25. “A Survivor’s Prize,” NYT, January 4, 1987, XIII, 3. 26. “Wiesel and Walesa Visit Auschwitz,” NYT, January 18, 1988, I, 3. 27. Legends of Our Time, (1968), viii. 28 “Am Tag nach der Befreiung wurde das Bild aus dem Kinderblock von Buchenwald von einem amerikanischen Soldaten aufgenommen. Darauf sind alte Männer zu sehen. Doch diese alten Gesichter sind die Gesichter von Menschen, die in Warheit wie ich um die um die fünfzehn oder sechzehn Jahre alt waren.” Elie Wiesel [aufgezeichnet von Werner A. Perger] “1945 und Heute: Holocaust,” Die Zeit, April 21, 1995, 16. 29. Henry Kamm, “No Mention of Jews at Buchenwald,” NYT, Mar 25, 1989, 8. 30. Jeffrey Goldberg, “The Exaggerators,” New Republic, February 8, 1993, 13-14. 31. All Rivers Run to the Sea, 97. 32. Anon. “Maya Angelou and Elie Wiesel on Love, Hate and Humanity,” Massachusetts, Spring 1995, 4. This article, effectively burst the Elie Wiesel Holocaust bubble. The former Auschwitz inmate, who forgot to write of gas chambers in 1956 is finally exposed as a liar. Professor O'Connell is not only an expert on Mauriac and his relationship with Wiesel but he is obviously a brave man. He will no doubt be accused of the usual dreary charges of "anti-Semitism" for daring to cast doubt on the Wiesel stories but he will endanger his academic position by taking on the Wiesel-Holocaust lobby. On careful reading however we find that he is not alone!